After the liberation of the concentration camp, Lyuba’s mother found her children. 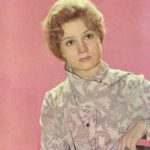 Lyubov recalls: “When she was pulling me away from a woman, with whom I lived, I shouted:” I will not go with you, you’re not my mom, that is my mother, “I was then already 5-6 years old … And I remember! How the woman held me and tried to persuade my mother: “why you take her away from us, we have fried potatoes, Luba loves fried potatoes …”. After the war, we were very poor, often hungry. Lyubov Virolainen recalls: “I went to school hungry, and sometimes had not eaten anything at all for three days, but when I was offered something to eat, I said:” No, I have everything at home”. A teacher noticed my lie and sometimes quietly suggested: “Take a sandwich, you see, it is delicious!” … And there was another, quite remarkable history teacher, he said: “you know, do not come to school tomorrow! Sleep well.” Maybe, I looked like I didn’t have enough energy, maybe he guessed that I starve …”. Lyubov Virolainen went to school in Smolensk. 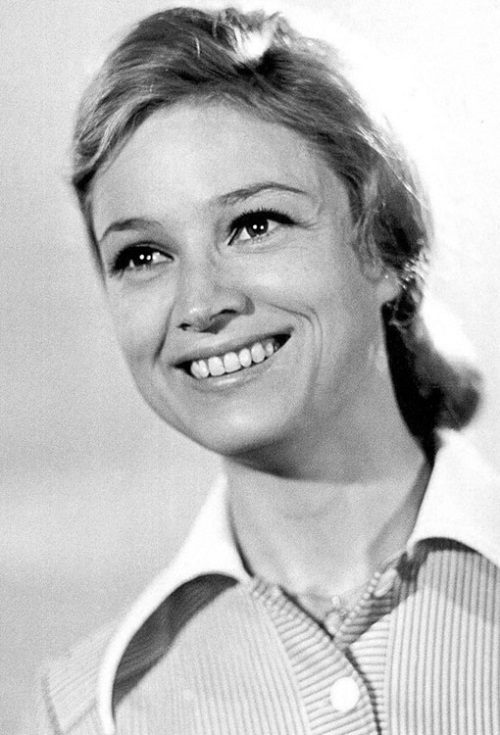 She graduated from the school at the Leningrad drama theater of Gorky (1965) and became an actress of the theater. 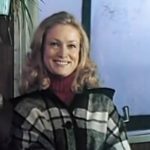 Since 1969 she was the actress of Lenconcert, since 1972 – the actress of film studio ‘Lenfilm’. When Luba studied in 10th grade (they already lived in Leningrad), she first starred in a small role in the film “On the Verge”. After receiving her first money, Lyuba bought white bread. She recalls: “Together with my brother, sister, we ate it on the street for all to see how well we live – eat white bread and there was born a beautiful dream in these squalid conditions – to be an actress.”. However, an attempt to enter the All-Union State Institute of Cinematography failed. As the actress said: “I wore an old dress from which I grew up. This depressed me, I was upset, and could not read the program”. The first major film role – in the melodrama “The Road Home”, which was released in 1969. 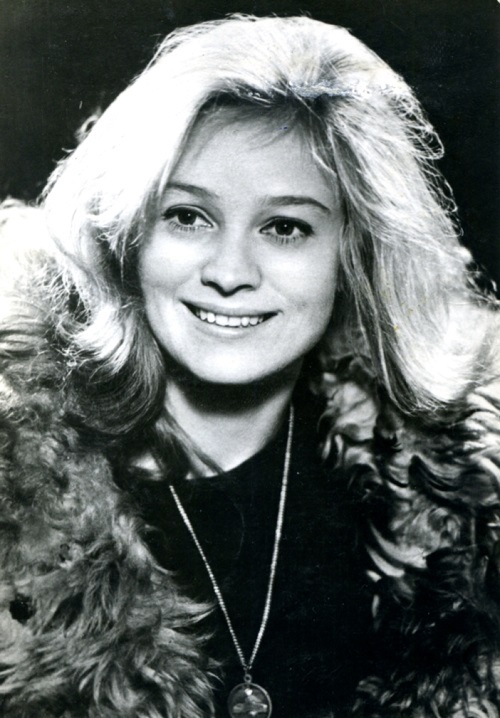 Three years later, the actress was invited by Sergei Gerasimov for the role of Masha in drama film “To Love Man” 1972. The film brought her nationwide fame. On numerous creative workshops fans showered her with flowers. The actress managed to create expressive female image, which combines the strength of character, tenacity, self-control, passion. 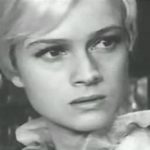 The fragile blonde with brown eyes … More than sixty films in which the talented actress starred, and very often she embodied in the movie feminine ideal. The most notable movies: Romance “The first day, the last day” (1978), the drama “Cold Light of Day” (1983), heroic-adventure film “At the dangerous line” (1983). In the early 70s Lyubov married Yuri Virolainen. Together they lived not long – Yuri died. During heart surgery of her husband, Lyubov met a heart surgeon Alexander Borisovich Zorin. He became the second husband of actress. Together they have lived for more than thirty years, they have a son, and a granddaughter. In the early ’90s Lyubov Virolainen was unemployed. 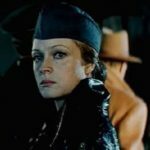 With the collapse of the Soviet Union and the collapse of the Soviet cinema, “Lenfilm” made it clear to the actress that her services were no longer needed. Lyubov went to cosmetology company, led the course “Health and beauty in your hands.” Then she worked with her husband – filmed on videotape heart surgery. For three hours she had to stand still with a video camera. Soon she left the job. In 2002, after a ten-year break, Lyubov Virolainen again starred in the film – in the series “Time to love”, “One shade for two” (2005), “Love under the supervision” (2007), Glacier (2013), Alien Nest (2014-2015).